Issue 6 of Happily Hooked Magazine just came out yesterday. 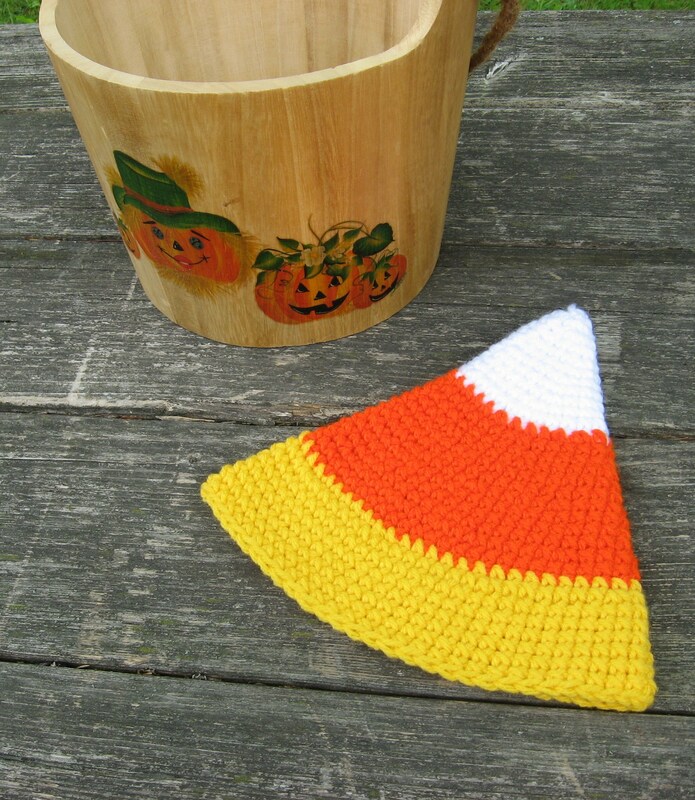 In it you can find my pattern for this Candy Corn Hat, sized for infants and toddlers. Happily Hooked has made a lot of great improvements based on reader suggestions. You can start your subscription for just 99 cents!!!!! Check it out HERE. This entry was posted in Crochet and tagged Candy Cane Hat, crochet toddler hat, halloween crochet hat, Happily Hooked Magazine. I really love the candy corn, but more I love the mug next to it! I actually made this too from a plain wooden bucket I purchase on clearance. I’ve had it for years. Maybe I’ll do a post about it because I’ve had some comments about it on Facebook too. 🙂 Thanks!